We all agree that Optimizing is a great thing, whether it’s time, data, costs…on and on the list goes. We strive “to make the best or most effective use of” whatever it is we’re doing. But with companies and IT departments having fewer resources, less time and budget, and with the expectation to do more, it’s easy to reflect on both the virtues and challenges of optimizing. Sometimes it can seem like a daunting road, with many twists and turns. 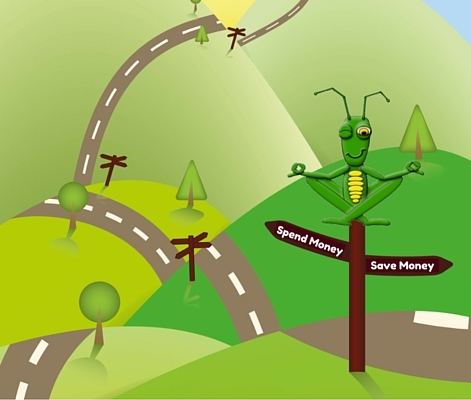 However, this time it’s not about the journey, grasshopper, it’s about the destination. So please, do yourself a favor and take a shortcut to optimization. Choosing the optimization road means looking ahead – and sometimes it can mean looking ahead only one month at a time. An optimization opportunity to reduce big costs often lies in your monthly cellular bills, with savings that begin within hours and reflect in your first billing cycle. “Customers are seeing cost reductions of 20% to 40%, and with no effort required on the customer’s behalf, the benefits are easy to see,” says Jason Sharek, CEO of TeleProviders. How it’s done – Using proprietary software, modeling algorithms and a unique database of carrier pricing plans, your trending patterns are analyzed every month and costs are adjusted, or renegotiated, on your behalf. Multi-scenario comparisons of all options for savings are explored and implemented on a monthly basis. Because we are creatures of habit (that typically resist change), here’s the really good news – you don’t have to change your vendors. It’s not about the discounts you negotiated upfront, but analyzing each line of service monthly to determine the most cost effective plan and features during each billing cycle. Maybe a consolidated cellular bill, that’s detailed and easy to read, isn’t the answer to life, but it can give you more time to ponder life’s meaning. Your monthly destination – Spend money or save money? The path is yours to choose, grasshopper.